THIS VERSATILE BENCH IS GREAT FOR ADDITIONAL TABLE SEATING SPACE OR WORKS WELL IN A MUDROOM TO SIT ON WHILE REMOVING SHOES OR BOOTS. 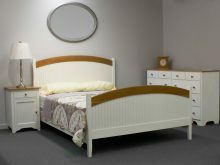 MANY OF OUR CUSTOMERS PURCHASE THIS BENCH FOR PLACEMENT AT THE FOOT OF THEIR BED. 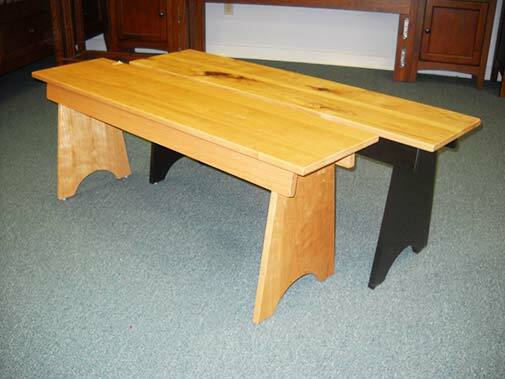 WE CARRY THIS BENCH IN FOUR SIZES IN CHERRY BUT IT CAN BE MADE IN OAK, HICKORY AND MAPLE AS WELL.